Gopalkrishna Gandhi, grandson of Mahatma Gandhi and C Rajagopalachari, said he had agreed to be the Opposition's Vice President candidate to respect their "unity and conviction". Gopalkrishna Gandhi said Indians must keep hatred and terror at bay from their hearts. Gopalkrisna Gandhi, announced yesterday as the unanimous pick for vice presidential candidate by 18 opposition parties, said the terror attack on Amarnath Yatra pilgrims Monday that left seven dead and 19 injured and the spate of mob violence across India were manifestations of the same form of hatred. Pitching his candidacy as not against any person or party but one against hatred and bigotry, the 72-year-old former West Bengal governor spoke exclusively to NDTV on The 9 O'Clock News. Strongly condemning the terror attack on Amarnath Yatra pilgrims, he said, "This is a time when the whole nation must ask itself, how it is going to cope with this atmosphere of violence. The state is doing all that it can to meet terrorism but there is something which has to be done within the country to keep terror at bay from our hearts, to keep vengeance and retribution at bay. These are poisonous fumes which are spreading all over the country and we have to guard ourselves against letting this loose amongst us." Gopalkrishna Gandhi has been picked by the opposition parties to contest for Vice President. Asked why he had decided to accept the opposition nomination and enter a political arena, Mr Gandhi recounted he was in the middle of teaching a class when he received the call. "When 18 opposition parties representing the country from Kashmir to Kanyakumari are asking me to be their candidate and are asking me unanimously in a show of unity and conviction, it would not be right for me to say no. Unity and conviction are very important in our country and very rare in our country," he said. "I would like to say that my candidature will not be against any individual; certainly not any candidate. And it will not be against any political groups either. But it will be against suspicion, hatred. Against what can be called bigotry. But principally it will be for something. I see my candidature as a candidature for the spirit of India's integrity and India's pluralistic intelligence," he added. 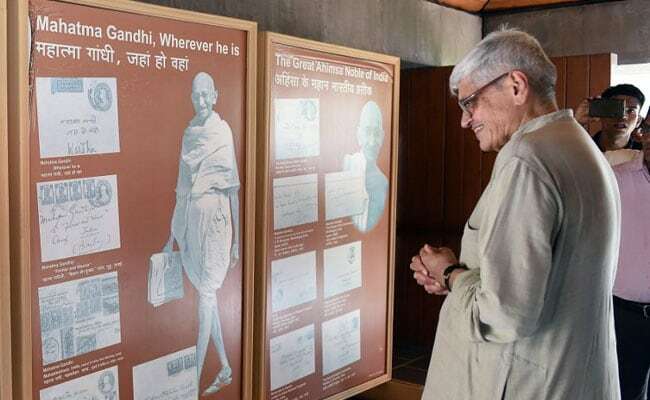 Mr Gandhi, the grandson of two of India's greatest freedom fighters, Mahatma Gandhi and C Rajagopalachari, also spoke on the Prime Minister Narendra Modi's statement at the Mahatma's Sabarmati Ashram against violence last week, saying this must now be translated into action. "I am not surprised that the PM was moved by what he saw and experienced in Sabarmati. To say what he said about the lynchings... what has happened in Amarnath... and what has happened across our country... over the last several months in terms of lynchings - are two manifestations of the same phenomenon of violence, vengeance and retribution. That is what we are up against. That is what Gandhi gave his life for," he said. "I would like to see what he translated into action. For it is only when a word of honour given by the PM is translated into action that the word of honour acquires meaning. I would like to believe that he will see to it what he has said will be translated into action and all those responsible for those brutal lynchings will be brought to face the law," he added.